In the state of Ohio county auditors are responsible for assessing the market value of each land parcel to determine the amount at which the owner is charged a property tax. As any home owner knows it’s this revenue that in large part goes to pay for the necessities of running a safe and welcoming community and contribute to funding the expense of schools and other local services. In accordance with Ohio State Taxation Rules each county is required to assess property values on a six year cycle, commonly referred to as the reappraisal and update schedule. The teams of property appraisers at Fast Appraisals and Cleveland Home Appraisals frequently receive appraisal requests from homeowners wishing to contest the county’s property appraised value. Although each county has a unique process, and each process is subject to change as counties seek more efficient ways to assess property values and manage property value appeals, we have attempted to provide some resources for homeowners in the areas we service: Cuyahoga, Lorain, Lake, Medina, Summit, Portage, Geauga and Ashtabula counties. 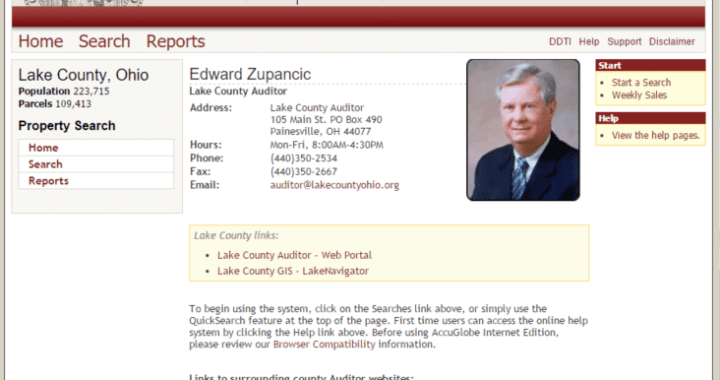 This post should provide the basic knowledge for a homeowner in Lake County, Ohio who wishes to appeal, or contest, their recent Lake County Property Appraisal from the Lake County Auditor’s Office. Homeowners received notifications by mail with new estimated market value (late November). Currently the Auditor’s Office is not providing details of when 2015 notices will arrive, other than to say they have been told it will be in the fall. It’s important to note these new valuations will be reflected in 2016 tax bills. Valuations reflect what the Lake County Auditor’s Office considers the new estimated market value of a property as of Jan. 1, 2015. This value will determine the taxable amount until the next reappraisal in 2018. Likewise, a successfully appealed value will also determine the taxable amount for the next three years. Unlike Cuyahoga county, which gives the home owner an opportunity to supply evidence (i.e. recent property appraisal or sales information) to file a property value appeal on line or by mail, Lake County typically schedules a one week window for informal hearings during which the home owner can bring their evidence in-person to contest the new property valuation. Notice of where and when these hearings will take place should accompany the new valuations and be available by calling the Lake County Auditor’s Office at 440-350-2532. If you wish to contest your value and supply a recent appraisal as evidence, it is imperative to order an appraisal as soon as possible in order to have the evidence for your hearing. Although attending the scheduled informal hearings is recommended to avoid further delays in an accurate property assessment and therefore an accurate property tax bill, if you miss the window to attend a hearing for contesting your property value, you can file a formal complaint between 1/1/16 and 4/1/16. Filing a formal complaint with the Lake County Board of Revisions (BOR) should be done as early in the year as possible in order to allot for the time to go through the procedures set by the three-member panel. More details can be found in this article Board of Revision aiming to settle property value disputes or by calling the Lake County Auditor’s Office. 4. Still Not in Agreement with your Property Valuation? If a homeowner is still not in agreement with the Lake County BOR’s property value assessment, they can use DTE FORM 4, Notice of Appeal to the Board of Tax Appeals from a Decision of a County Board of Revision, to file complaints with the Ohio Board of Tax Appeals within 30 days of receiving the BOR’s decision. 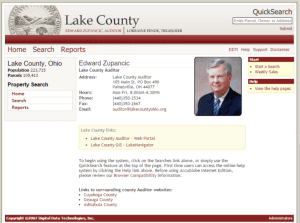 It’s important to note that you must receive a decision from the Lake County Board of Revisions first in order to take your appeal to the State of Ohio as the instructions on DTE Form 4 are to include the County BOR’s decision, as well as evidence to support your appeal (i.e qualifying appraisal). If you feel that your property has been assessed inaccurately by Lake County and you would like supporting evidence to contest your home’s valuation, contact FAST Appraisals, or Cleveland Home Appraisals, right away. Contact us by phone, at 216-932-4663, or use the form on Tax Appeal Appraisal web page and we will call you to discuss your tax appeal appraisal needs. Posted in Lake County Ohio Tax Appeal, Residential Property Appraisals, Tax Appeal Appraisal and tagged home appraisal, lake county ohio, market value, property appraiser, real estate appraiser, residential property appraisal, tax appeal.